Riverfront! 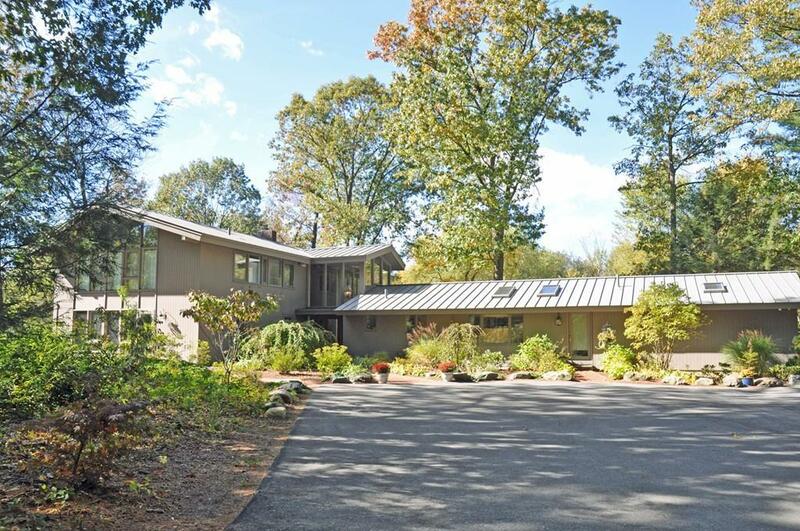 Custom, mid-century modern built with redwood, sits at the end of a cul-de-sac abutting conservation land. This secluded home, with expansive attached in law wing, is beautifully sited on the banks of the river, with natural views from every room. The main portion of the house with radiant heat, offers an updated cook's kitchen with granite counters and professional gas stove. Living room with fireplace offers peaceful views of the river. First floor office/family room, laundry and half bath. The dining room/sunroom brings the outside in! The second floor contains 5 bedrooms and 3 full baths. The first floor in-law wing also overlooks the river and has 2 bedrooms, 2 baths, laundry, kitchen and living room! Enjoy the heated, in-ground pool while relaxing and taking in the serene setting. Three car garage with heated storage and cedar closet. This property is conveniently located near historic Concord Center with shops, restaurants, train and more! Listing courtesy of Ginette Brockway of Keller Williams Realty Boston Northwest. Disclosures Dining Room is 3 Season. Listing provided courtesy of Ginette Brockway of Keller Williams Realty Boston Northwest.